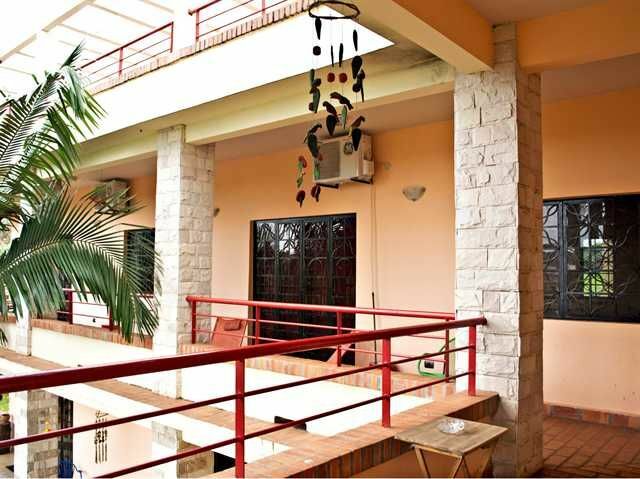 Casa Alta is located in the highest area of Ciudad del Este with panoramical view of the city and a beautiful terrace with hammoks and bbq area. A second bbq area in next to the swimming pool. 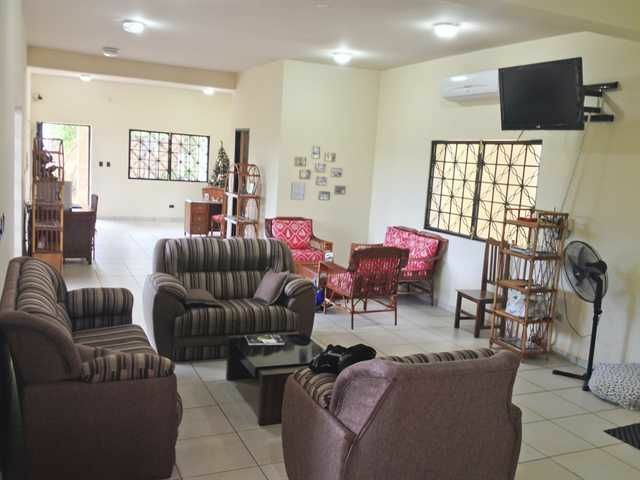 We are a familiar hostel with all facilities you may need in a big and brand new building. 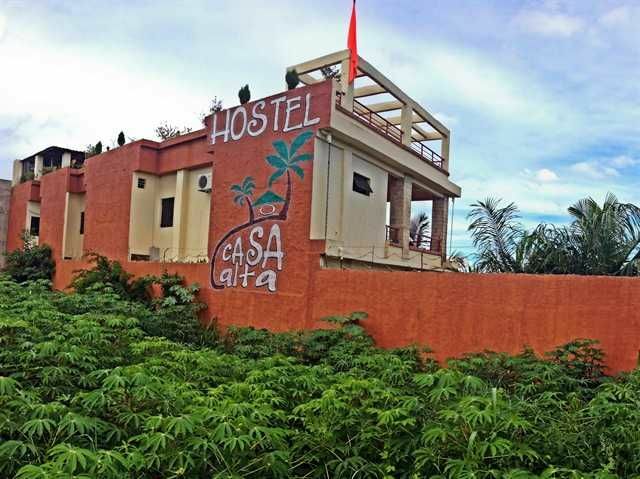 The hostel is surrounded bay green parks, 50 mts from a beautiful lake and streams. You can walk to the bigest shopping center, to the center or even Brasil from Casa Alta, everything is not more than 5 km. You can also go 35 km to Iguasu Falls and return the same day to spend the night with us again.In Ciudad del Este you can visit Itaipu Hidrodam. Itaipu turistic center including Museum, Zoo and Botanical garden. Tati Yupi natural reserve, where you can spend the day in this protected area with hotwater showers, modern bathrooms, waterfalls, bbq area, sport courts all next to the huge Itaipu Lake. Another big attraction in our city is Monday Falls, 10 km from Casa Alta Hostel, 40 mts of water falls where you can also eventually practice wild rapel.You have own transportation for 7 passengers to all turist points.Our terrace is a great place to spend time relaxing, cooking, reading... you can watch sunset or surise and even be delighted with a full moon from here. By car: From the lake "Lago the la republica" go to water treatment plant (planta de tratamiento de agua) turn in "los Yerbales" street that heads to "Area 1" and turn left in the second corner at "British School". From this point you have signs in the columns that show the way 5 corners away.From Airport: Take International Road (East direction) until "Itaipu Este" street, turn right until "los yerbales" street turn left until "British School" in the from this point we have indication signs on columns, it is 5 blocks once you get herea taxi cab will cost 40 U$ from international airport of Ciudad del Este or international airport of Foz do Iguaçu (Brasil) to Casa Alta HostelFrom Bus station:WalkingFrom Bus station walk 1 block until "Eugenio A. Garay" Avenue and turn left until "Avenida del Lago" Street, walk until "Los yerbales" street and walk left 2 blocks until "British School" from this point we have indication signs on columns, it is 5 blocks once you get here. Distance: 3 kmBy CarGet to "Los yerbales" street in "Area 1", 2 blocks before "Lago de la República" is the "British School" from this point we have indication signs on columns, it is 5 blocks once you get here. a taxi will cost 7 U$ from bus station.